After establishing her career as a Java programmer in New Delhi, India, Romasha experienced two momentous changes in a short period of time when she had a child and moved to America. With a young child at home, she decided to take a career break. When her son started kindergarten, she felt that it was time to return to the workforce and found a returnship at LendingClub though Path Forward. I worked in IT as a Java developer for about eight and a half years. I was a lead programmer when I had my child and decided to take a break. Shortly afterwards, we moved to America, and I ran into issues getting a work visa, so I extended my break to care for my son. Overall, I was out of the workforce for over six years, which made it difficult to find a job when I wanted to return. What type of work are you doing at LendingClub? I’m a software programmer, and continuing to work on Java-related development. It’s been a year since my returnship, and I feel like I’ve grown a lot. My support system has stayed the same, but my job responsibilities and expectations have grown. I’m now taking a bigger lead on my team and starting to mentor junior employees fresh out of college. While I certainly have to put in more time and effort, it’s felt like a natural progression from my returnship to my current role, which must mean that I’m doing something right. I feel that I’ve really grown in the past year, which I have welcomed, because I believe that if you don’t grow in your career, you aren’t doing a good job. How did you know that you were ready to restart your career? I knew that I was ready to go back to work when my son started kindergarten. Since he was out of the house for most of the day. I wanted to keep myself busy and do something substantial with my time. Initially, I started volunteering at my son’s school. However, my background is in IT, and I wanted to return to that field. That was how I found my way back into the workforce. In addition to volunteering, did you do anything else to prepare for a career restart? Yes, I took online courses to refresh my skills. Although I was familiar with software programming, there are so many new technologies being developed all the time, so if you aren’t learning new things, you can easily fall out of sync with the field. I took a few online courses to brush up on a few newer programming fields, like automation frameworks, to feel more confident during job interviews. I knew employers would be looking for programmers who had up-to-date knowledge, so I wanted to be prepared. How long were you actively looking for work prior to your returnship? I knew it would be difficult to get back to work after such a long career break, so I figured that I wouldn’t be able to get a position at the level I had before. It took me about six months of job searching before I found Path Forward. I tried not to be picky and applied to a variety of jobs, but not many responses came my way. Those that did get back to me often offered me alternate opportunities that I was not interested in. I began to feel that unless you had a connection or reference within the company you were applying to, it was very difficult to get a call back from HR. 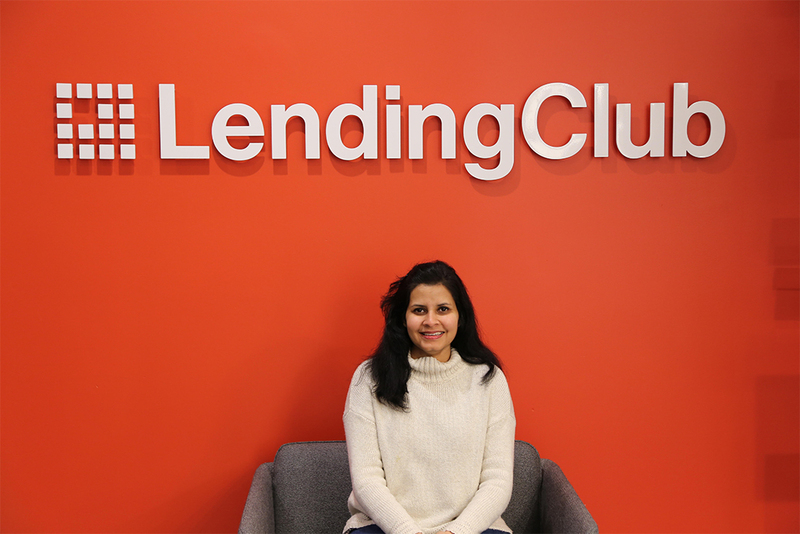 What did you do at LendingClub during your returnship? It was very similar to the type of work I was doing prior to taking my career break: software development, with a focus on Java. Of course, I didn’t start coding and programming from day one: there was plenty of time to ramp-up, learn what LendingClub’s system looked like, get to know the job responsibilities, and the work environment. Starting slow and having similar work as my previous job made the transition easier for me. A week into my returnship, I almost felt like I had never even left the industry! . It sounds like you had a relatively seamless transition back into the workforce. Were there any challenges to returning to work? My biggest issue has honestly been my long commute, but I have a few other LendingClub returnees to keep me company during parts of my journey. What really helped me was that I had, and still have, a very good team and support system at LendingClub. My son was also supportive in his own way – thankfully, I didn’t need to take any time off during my returnship to care for him! Did you get close to your fellow LendingClub returnees during your returnship, and do you still have a chance to interact with them at work? Yes, definitely. We really connected over being new to the company at the same time and sharing the same worries – about returning to work and restarting our careers, adjusting to a new schedule, getting new responsibilities, and what our next steps after our returnships would be. We continue to bond over shared issues, and are all still very close. What is the most exciting part of returning to work? Of course, it feels good to be financially independent. But there’s also a real a sense of satisfaction that comes from achieving something that is purely yours. It gives me a greater sense of purpose to get up in the morning, work outside the home, then return to my family. If I crack a piece of code or figure something out at work, I come home in a better state of mind, and feel fresher and happier when spending time with my family or taking on household tasks. What do you like most about working at LendingClub? I love my team at LendingClub. I feel very lucky to have the kind and smart coworkers I do, including my lead, manager, and director. It feels good to surround yourself with straight-forward, honest people – when you aren’t spending time trying to figure out unclear expectations, you can really focus on your work. LendingClub has been a boon in creating an environment with clear expectations, mentorship, a strong support system, and flexibility. What advice would you give to future returnees? Be confident, and don’t be too hard on yourself. It will take time to adjust to working – that’s why your returnship lasts four months. If you did it before you took a break, you can do it now, but it will take some time to acclimate. Know that Path Forward is there to help you, and make sure you have a good support system. As long as you give it your best, and don’t take any opportunities for granted, things will work out. What did you find most helpful about being part of a Path Forward returnship? I liked that the initial expectations are not overwhelming – they exist, but the structure of the returnship gives you time to ramp-up and find your way. Path Forward provides a great support system and mentorship, which helps you adjust. I know people who returned to work by diving into a full-time job right away, and had so much stress from taking on too much all at once. With the returnship, there is less pressure piled on you from the start, which gives you time to adjust as you rise to the level of a permanent, full-time job. We all end up in the same place, but a returnship gives you an overall happier experience. You’ve become a supporter and active alumna of Path Forward and we’re so grateful for that support. As an alumna of Path Forward, what inspired you to give back? I wanted to give back to Path Forward because without the returnship program, I wouldn’t be working in the IT industry. They really helped me get my foot back in the door, and landed me a job at a company that has been so supportive and great to work for. You tend be thankful, in your mind, for all those who have helped your in your career, but I wanted to actively do something to express my gratitude.